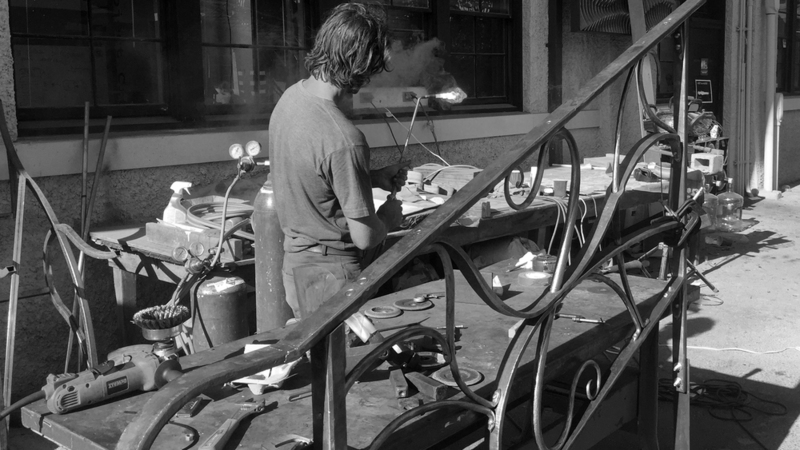 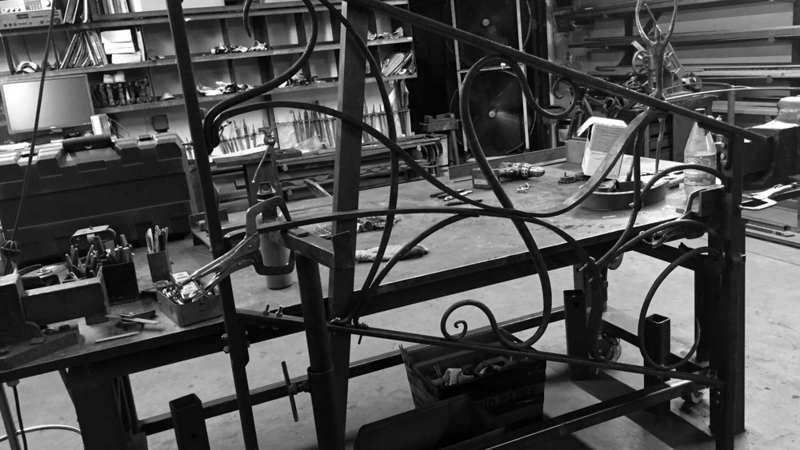 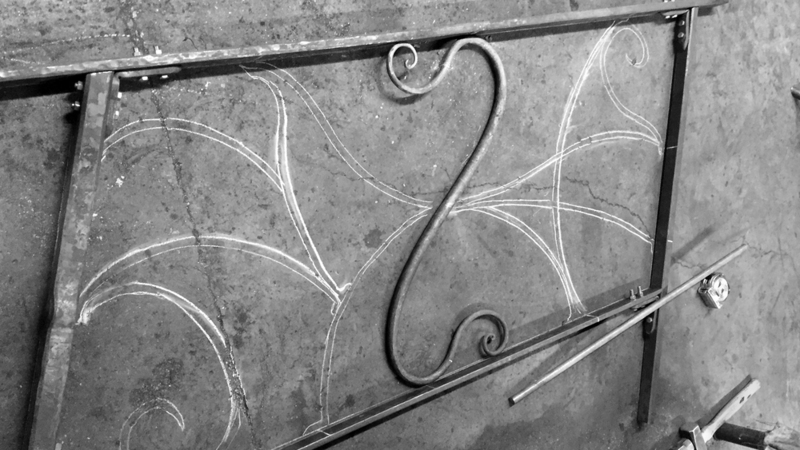 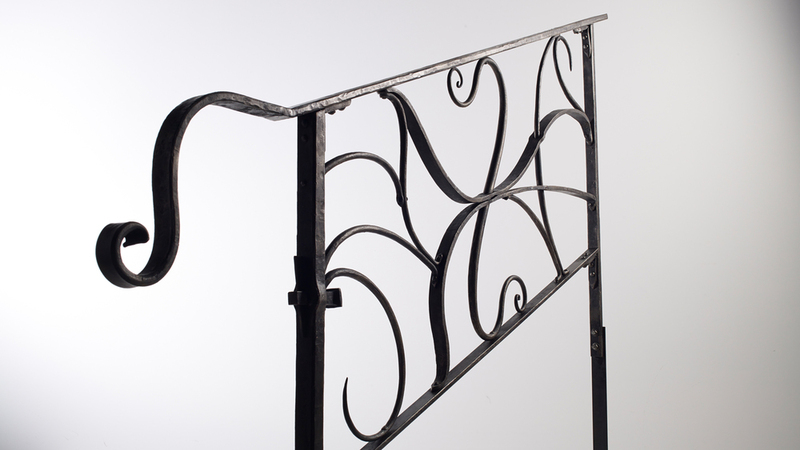 Serpentine is a railing I forged for my father, who is building a house with a lovely curved staircase. 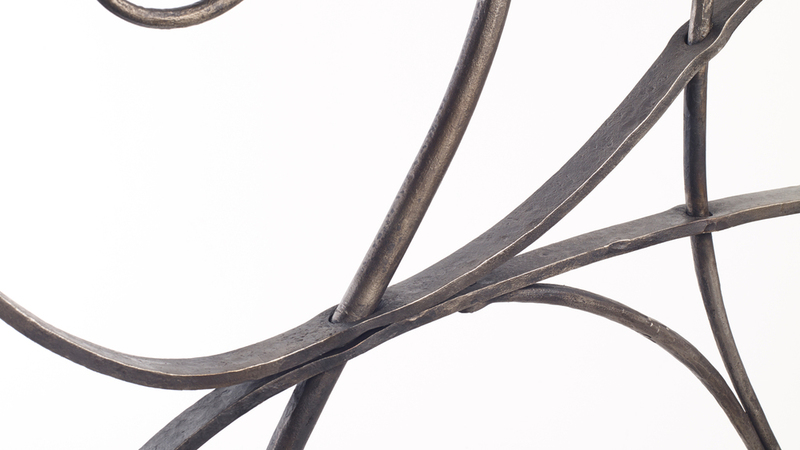 Whether I am marrying flavors on a plate or turning hot metal into playful forms, I am a firm believer that good design needs contrast to elicit meaning. 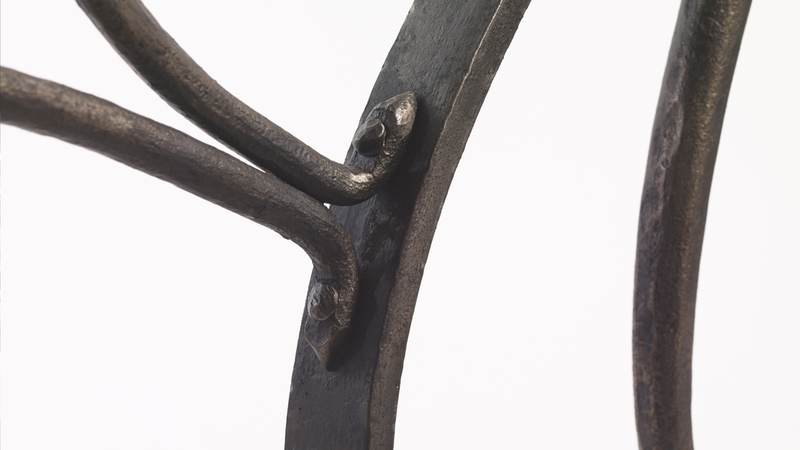 What intrigues me about blacksmithing is that the sheer brutality of forging metal is so starkly juxtaposed to the material comforts we surround ourselves with in modern life. 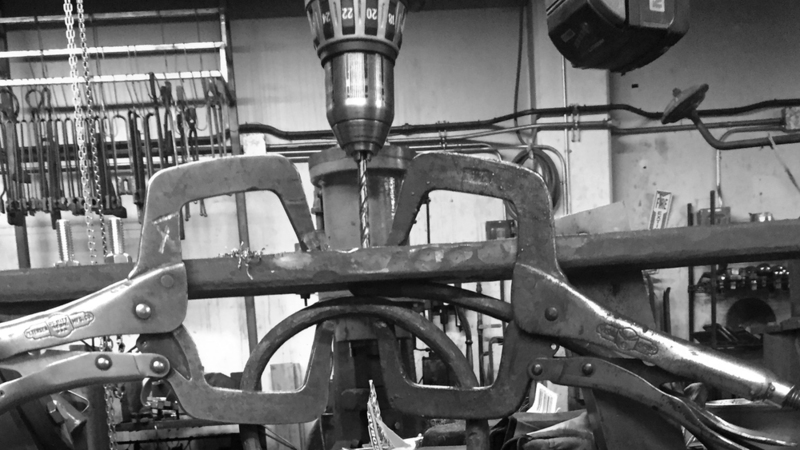 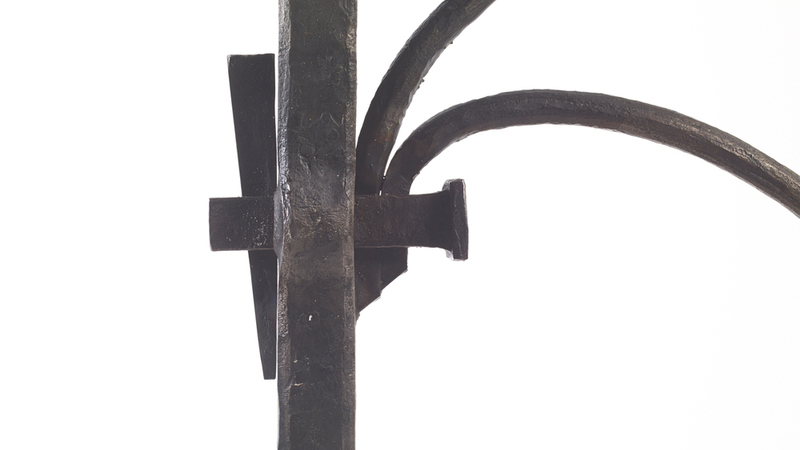 I set out to build a piece of forged sculpture where the result of brute force would be slender, graceful, and feminine.